Our Contracts - Netsimco | Network And Simulation Technologies, Inc.
Netsimco was incorporated in September 1999, in the State of Rhode Island. Since 2000, Netsimco has provided support services in research and development, modeling and simulation, systems integration, systems analysis, operational analysis and program management in conceiving, planning and managing multiple Navy programs. Netsimco has been awarded more than $100 million in DoD-related contracts supporting the Naval War College, the Senior Enlisted Academy, the Tactical Analysis Group for the Undersea Warfare Development Command, and the Naval Education Training Command. Netsimco is a prime contract holder for the NAVSEA Seaport Enhanced (Seaport-e) Multiple Award Contract (MAC) and provides engineering, technical, and programmatic support services. Commander, Undersea Warfighting Development Center (UWDC) is the undersea domain center of excellence for tactical development. Within UWDC, the Tactical Analysis Group (TAG) is responsible for conducting analytical studies, tactical development exercises, and reviews of real world operations in order to formulate new or improved tactics and doctrine that address issues associated with submarine warfare missions. Netsimco provides technical support services to perform tactical operations research analysis; planning and execution of tactical development exercises and test events; analyses of data recorded to assess submarine tactical system performance; identification of tactical system capabilities required to address war fighting performance issues; and tactical warfare publication development and maintenance. The U.S. Naval War College (USNWC) requires an iterative development program leading to an evolutionary web redesign for their College website. The website redesign project is the USNWCs effort to refresh its Web presence through improved innovative design, structure, user experience and maintainability. Netsimco provides technical support services to provide an iterative redesign of the College’s website by creating an integrated, scalable, enterprise-wide, state-of- the-art web environment that supports and showcases the College’s research and scholarship activities and its extended communities of interest (COIs). For more information related to the SeaPort-e program or information on customer satisfaction with the services performed, please contact us at 401-619-1220 or send us an email. 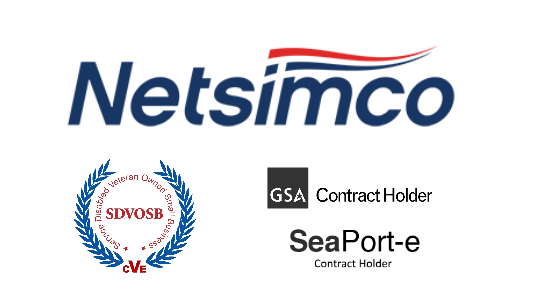 Netsimco understands the importance of quality assurance processes and quality contract execution for SeaPort-e and other potential Virtual SYSCOMs customers. Netsimco performance has been evaluated under the CPARS system for over seventeen years, under approximately $100M in contracts, and we consistently receive “Exceptional” Ratings for the quality of our work. Within 14 days of task order award, we will brief our Quality Control Plan and evaluate the customer’s requirements and tailor our plan to ensure that all quality assurance objectives are met. By using our Quality Assurance Plan and tailoring the customer’s requirements we will ensure that all objectives are monitored, and that status reports reflect actual progress toward those goals. Under this quality plan Netsimco will incorporate our efforts into the established process plan to ensure compete compliance and quality of service and products to our customer. We realize that an assessment of the contractor’s performance will be required under the contract; the Government shall consider technical content and accuracy of deliverables/work products; product/task quality; timeliness; cost management and other aspects of contract management, as well as any other aspects of performance as defined in FAR 42.1501. We utilize a proven process to monitor, manage and maximize quality. Our quality management process includes the control and surveillance methodologies to insure quality performance and compliance with contract requirements. Netsimco utilizes industry best practices, primarily relying on Project Management Body of Knowledge (PMBOK®) Guide – which is a common standard, and best practice accepted by industry. It is the foundation of our project management quality structure and drives each employee to continuously identify new ways of performing our jobs in easier, cheaper, and better ways. PMBOK® is an internationally recognized standard which is consistent with the standards in ISO 9000 and for CMMI used in software development. It is in compliance with the requirements in the DoD 5000 Defense Acquisition Guidebook. 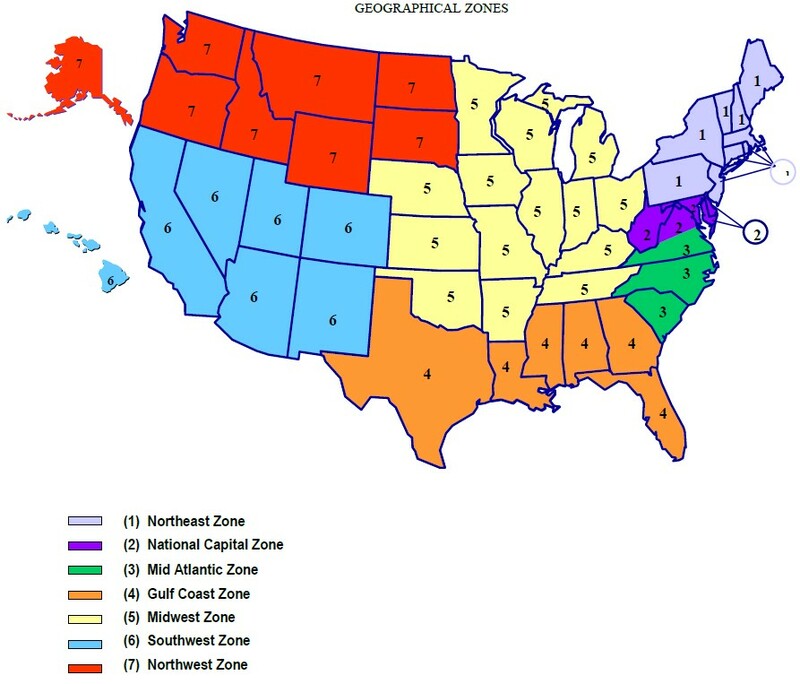 NAVSEA selected a regional “zone” approach for SeaPort-e program participants in order to preserve the local vendor base that currently supports Navy ordering activities, encourage small business participation, reduce the need for complicated teaming arrangements, and ensure adequate competition for all requirements in all zones. Team Netsimco is able to provide support services for all functional areas and in all 7 georgraphic zones across the United States. Netsimco is a prime contract holder for the GSA Schedule 70 Information Technology (IT) General Purpose Commercial Information Technology Equipment, Software and Services contract. Netsimco’s authorized Federal Supply Schedule Price List is available on the GSA Advantage! System. Under our GSA contract, Netsimco is currently supporting the Naval War College Senior Enlisted Academy (SEA) by providing course facilitator support services. The mission of the SEA is to further develop, through education and training, the leadership capabilities of Senior Enlisted to give sound decision support in command, staff, management, and leadership positions in Naval, Joint, and Multinational environments. Netsimco has a contract with NAVSUP Fleet Logistics Center Norfolk Detachment Philadelphia to provide the Naval War College (NWC) support services for Command and Control (C2) and Research and Analysis. Netsimco provides technical, administrative, analytical, and Subject Matter Expert support for strategic and operational research activities and support for Command, Control, Communications, Computers, Intelligence, Surveillance and Reconnaissance (C4ISR) training and education requirements. Specifically, Netsimco services include support for NWC Center for Naval Warfare Studies, College of Operational and Strategic Leadership, Academic Departments under the Dean of Academics including Strategy and Policy, National Security Affairs, and Joint Military Operations Departments. Netsimco has a contract with NAVSUP Fleet Logistics Center Norfolk Detachment Philadelphia to provide the Naval War College (NWC) support services for the Information Resources Department (IRD). Information Technology (IT) services include web/database/portal development, Tier I/II service desk, instructional systems development for distance education, network technician, telecom technician, information security, systems administration, information security specialist, desktop management, network video broadcasting, audio/visual systems, and telecommunications functions. Netsimco has a contract with NAVSUP Fleet Logistics Center San Diego to provide information technology, audio-visual and cybersecurity services. The multiple-award contract will provide support to the U.S. Naval Academy (USNA) in Annapolis, MD, the Naval Postgraduate School (NPS) in Monterey, CA, and the Naval War College (NWC) in Newport, RI.